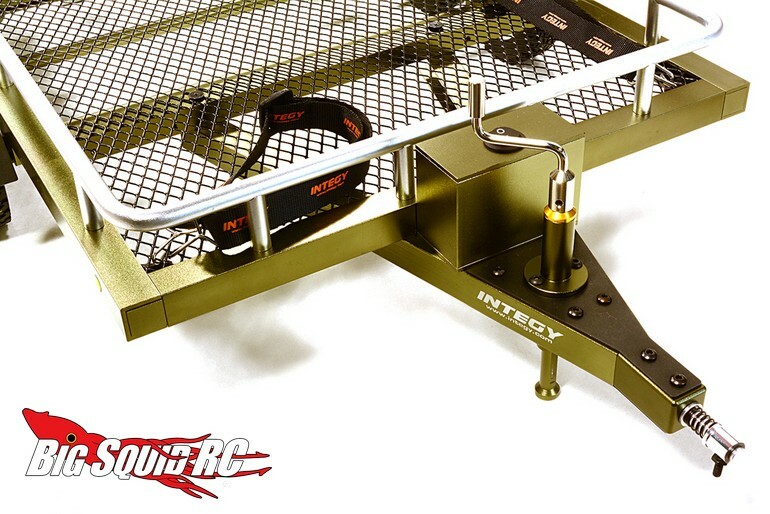 Integy Flatbed Dual Axle Car Trailer Kit « Big Squid RC – RC Car and Truck News, Reviews, Videos, and More! Shipping now from Integy is a 1/10th scale Flatbed Dual Axle Car Trailer Kit. The trailer is available in either black or gunmetal and has a loading area of 460 x 275mm. 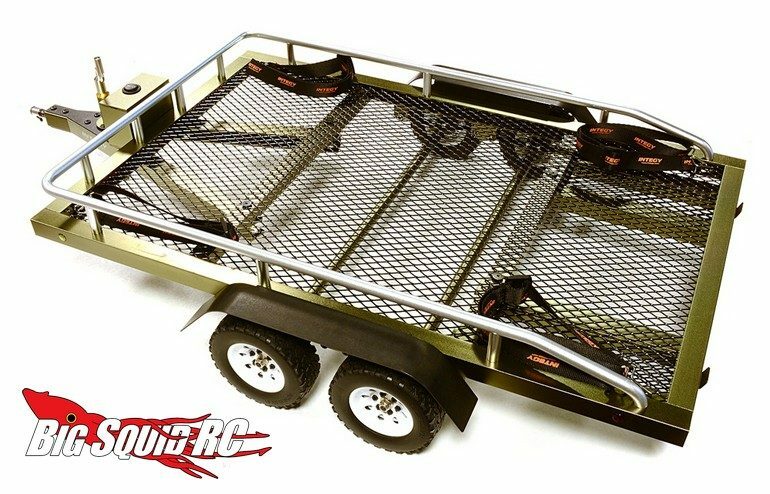 The trailer comes with working leaf spring suspension, is made out of a metal alloy, and sports 1.9″ sized wheels. 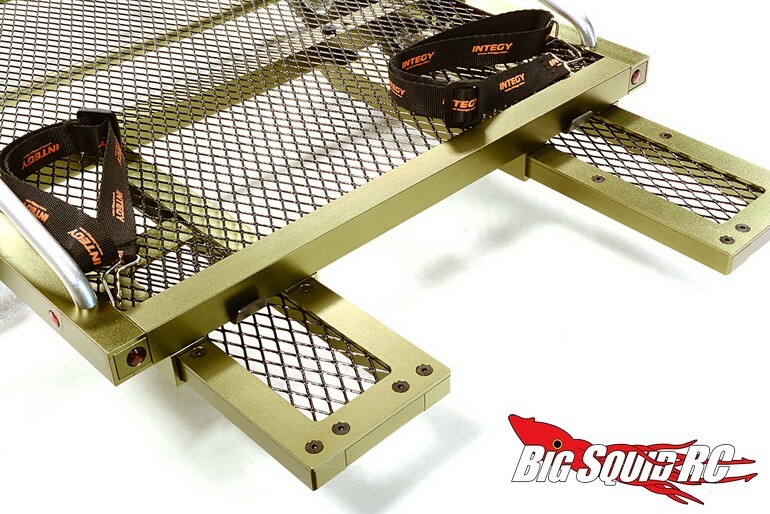 The front stand works and is retractable, while the trailer also comes with a toggle switch to control its LED lighting. Pricing for the trailer is $229, it has a part number of #C27734, and complete details can be found After The Jump. Hit This Link to read more Integy news on BigSquidRC.